From the day it was first announced nearly eight years ago until today, the story of PEPFAR — the President’s Emergency Plan for AIDS Relief — has been one that demonstrates the generosity of the American people in the fight against AIDS. The year 2010 provided many reasons for hope about the future of the global fight, and the commitment of the American people was central to virtually all of the year’s breakthroughs. During the year, I shared my thoughts on many of them, often right here on the Dipnote blog. Here are some highlights, with links to the original articles; you can also learn more at our newly updated website. Numbers aren’t the whole story, but when those numbers represent children, women and men whose lives are being saved, they are extremely meaningful. • More than 11 million people received care, including more than 3.8 million orphans and vulnerable children. Our first task for the coming year is to build on this progress and push on toward our ambitious goals. Our life-saving results were achieved despite the difficult economic environment. A key element has been stretching each dollar as far as we can to save as many lives as we can. This November post offers a few examples, such as reliance on generic drugs and cheaper ways of procuring and shipping drugs. We are constantly looking for additional ways to expand our impact, and it is a priority for me to expand our efficiencies in 2011. Prevention is a critical area for smart investments, and this year brought encouraging news. PEPFAR is seeing the payoff from heavy investments in high-impact prevention activities — for example, prevention of mother-to-child transmission and male circumcision. The year 2010 also offered hope of adding new tools to the future global prevention toolkit, with an encouraging trial of a woman-controlled microbicide, funded by PEPFAR through USAID, and positive findings on pre-exposure antiretroviral prophylaxis, funded by the National Institutes of Health. As we did so effectively with the campaign for male circumcision, in 2011 PEPFAR will continue to aggressively prepare to implement these new tools as they are available based upon scientific and regulatory guidance. 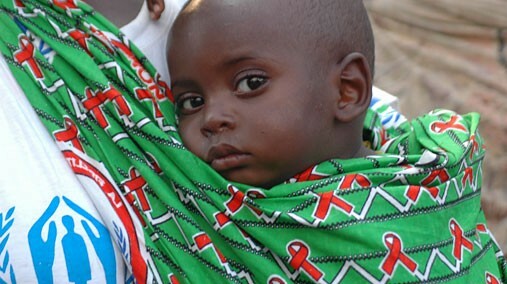 We saw striking progress in 2010 toward country ownership of HIV/AIDS responses. Our deepening partnership with South Africa is encouraging: their government has assumed increasing leadership, including a dramatically heightened financial contribution. PEPFAR is a key partner in this transformation, as reflected in our recent Partnership Framework to guide our joint efforts. The United States has signed 20 PEPFAR Frameworks to date, with more to follow in 2011.
across Africa. By supporting partnerships between African and external universities to improve and expand training, in 2011 and beyond these initiatives will be key pieces of wide-ranging U.S. support for health systems. A global response requires commitments by other donor nations In addition to the United States and its partners. The Global Fund to Fight AIDS, Tuberculosis and Malaria is a critical vehicle for all to heighten their commitment to the fight, as the United States has done over the past decade. In 2010, the United States made our first-ever multi-year pledge of $4 billion, subject to appropriations. The certainty this pledge provides for the Fund’s future should stimulate increased commitments by others. We also issued a Call to Action to improve the Fund’s operations, especially at the country level, and this work is a top priority for 2011. Simply put, the world needs a highly effective, efficient Global Fund. The reality is that HIV/AIDS is one strand in a wider web of health and development challenges. Last month, Secretary Clinton issued the inaugural Quadrennial Diplomacy and Development Review (QDDR), explicitly elevating development as one of three pillars of U.S. foreign policy, along with diplomacy and defense. As I noted in my post on the QDDR, it builds on President Obama’s Presidential Policy Directive on Development and his Global Health Initiative, all of which reflect a common vision of integrated, synergistic U.S. health and development investments. We see opportunities to ensure that our other U.S. government programs are meeting the needs of those affected by HIV, and opportunities for health systems platforms we have established under PEPFAR to help countries meet broader health and development challenges. To mention one example that I’ve been deeply involved in this year, I’m extremely proud that PEPFAR people and platforms have contributed so much to the Haiti earthquake response. As you can see, 2010 has provided much good news. I look forward to achieving even more together in 2011 to save lives through smart investments.